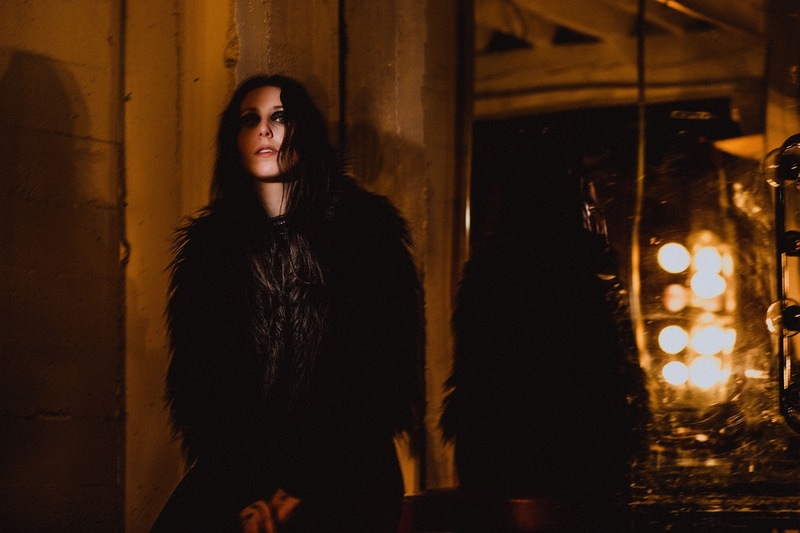 As we have known for a month and a half now, the new album by one of the most creative goth figures in music today, Chelsea Wolfe, will be titled Hiss Spun and it is scheduled for release on September 22nd through Sargent House. The second track we get to share off the upcoming album is Vex and it features vocals by the great Aaron Turner, alongside guitar contribution by Troy Van Leeuwen (Queens of the Stone Age, A Perfect Circle, The Desert Sessions, Failure) who is also present on three more tracks. The album was recorded by Converge's Kurt Ballou. Wolfe shares the following long statement about Vex: "Every day, at dawn and dusk, a mysterious hum resounds in the deep sea for about an hour. The source of this hum is unknown, but it may be a kind of instinctual guide to the creatures who live in those dark depths, to rise and feed, surviving another day. I follow my own hum, pushing forward despite anxieties, nightmares, and scavengers that try to pull me down into their depths. I also acknowledge my own fragility in contrast to my own strength and anger. 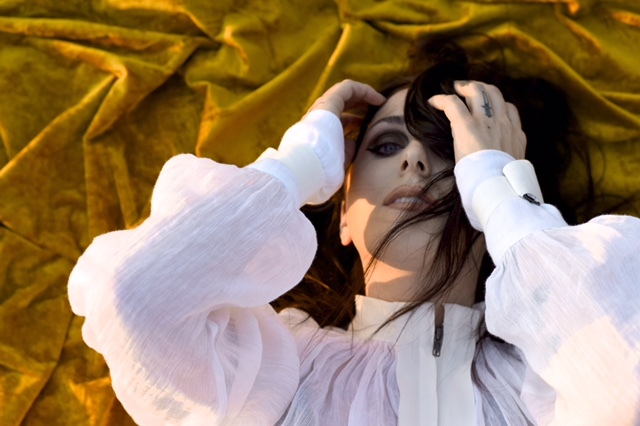 Vex began almost as a black metal song, with a pummeling blast beat, then Ben (Chisholm) and I stripped it back to a more industrial electronic sound. Once we were in the studio, Jess Gowrie’s drums and Troy Van Leeuwen's guitar parts began to shepherd it back toward its heavy origins. I knew from the beginning that I wanted Aaron Turner’s voice somewhere on this album, and could hear him in my head on Vex. I had already recorded my vocals for the song but decided to send it to Aaron without them on. Happily, the first time we played it back with both vocal parts they fit together in a very compelling way." Aaron Turner also adds, "The invitation to contribute vocals to Vex was a welcome if slightly daunting prospect. Aesthetically it's a leap for me to meld a harsh vocal approach with music as melodically inclined as Chelsea's. Added to that was the fact that I was working remotely rather than us all being in a room together discussing the work as it was unfolding. This removed approach to collaboration imposes a distance that can be hard to overcome. That said, feeling apprehensive about trying something and reckoning with the vulnerability of potential failure is more of an impetus to do something for me rather than a deterrent - perhaps increasingly so as time goes on. In the end it was surprising how seamlessly I was able to find my way into the song, and perhaps more importantly, how enjoyable it was to work on. Aside from facing fear as a primary creative motivator, having fun making music is an eternal goal. Working on this track provided an opportunity for both and I'm thankful to CW for entrusting me with their work given the leap of faith required for all involved."